NFL DFS dataset has game-by-game player and team salaries, positions, fantasy points scored for DraftKings and FanDuel. Validated NFL stats, with data integrity. Access to NFL DFS datasets in Excel separately provided for each season, immediately upon payment. 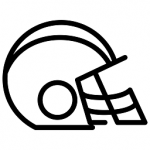 What does the NFL DFS dataset include? DATASET	The dataset that game belongs to. “NFL.com Player-id” is not available for 2017 season! POSITION	Position of the player for that DFS Site. SALARY ($)	Salary of the player for that DFS Site. FANTASY POINTS SCORED	Total fantasy points scored according to that DFS site’s scoring rule. Daily updated, exportable to Excel, team, player box scores throughout the season. Game-by-game box score player stats with game date, venue of game, player’s full name, position, opponents.